We have Yes several times mentioned that an important part of the welcome app concept a bespoke CMS (= content management system) is, that our developers have developed specially for the welcome app. Such a individual development was necessary, because especially in the context of multilingualism, scalability of content and offline usability of the app would have sufficed any existing system. 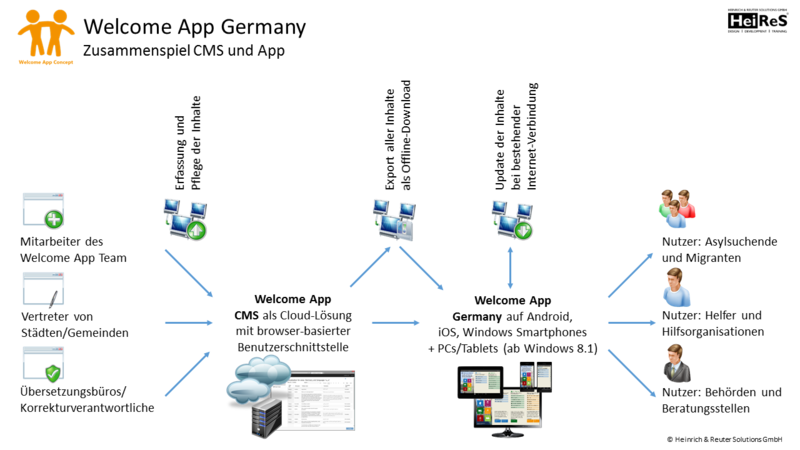 Goal of the CMS is there, the learning curve to make translation and update of all content of the welcome app as comfortable. The system is not only tool for our staff when the first system of content, but also tool for representatives of integrated cities/regions, as well as future Commissioner translation agencies to check/correct of the localized content. The completion of the CMS goes in the final sprint, so we soon come up with a publication.